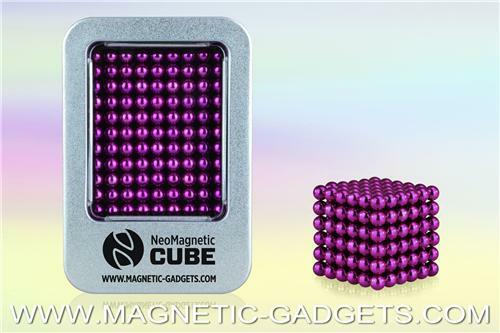 Made of 216 Neodymium magnetic balls, this Purple NeoMagnetic Cube will keep you entertained for hours. Note that due to the nature of the coating, glazed spheres are prone to chip at the poles. This cube is ideal for occasional display and static creations as we recommend the standard Nickel NeoMagnetic Cube for extensive and every day use.